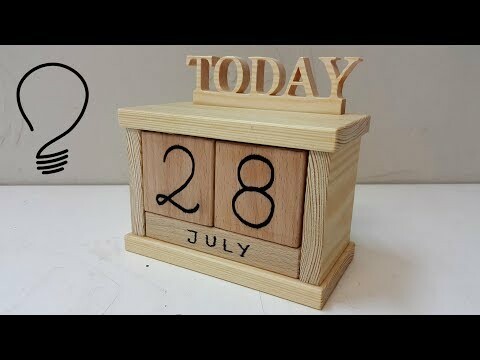 Today I'm going to show you how to make a Perpetual Calendar from blocks of wood. The stand is made out of pine wood, date and month blocks out of beech wood. If you like to build this specific version of wooden calendar, I have a free set of plans on my website. Finish Carpentry TRICKS! This was REWARDING!